with one of our trained pelvic health physical therapists. Read our March 2019 Patient Newsletter! When you’re hurting and frustrated, our physical therapists can help. Our focus is physical therapy and the benefits it can provide to our patients. We treat all musculoskeletal conditions at our 18 clinics throughout Wisconsin. We customize care to your needs and help you every step of the way. “The entire staff is courteous and professional. Thank you for the exercises and encouragement so I can get back to normal.” - J.S. "I have had therapy elsewhere and it was very painful and aggressive. 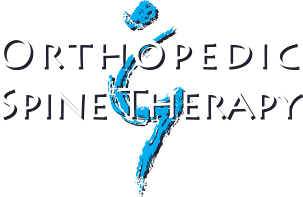 When I came to Orthopedic & Spine Therapy of Clintonville, I received better care with success!" -D.C.
"Therapist was great, I learned how to move and exercise so things loosen up. I will tell others about my therapy and how great I feel now from when I started! Thank you for your help!" "Due to John Hartenberger, Rob Busse, Lynn, and Jan's efforts, I am happy to say I feel healed! I am able to run without hip, back and knee issues. Thank you for everything you did!" J.S.